Meru has a new mission: targeting every agent loyal to the Eraser's new Management. Sides are being chosen, and the final line is being drawn! 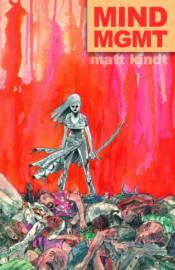 � Matt Kindt (Star Wars: Rebel Heist) brings the threads together! � The final year heats up!